Bright, light and spacious beach-house. Pour a glass of wine and relax on the front deck. Glimpse the changing tides, or put your feet up in front of the fireplace. Close access (50 metres), from popular surf / swimming beach. At low tide, collect Pipis (shellfish) and cook on the BBQ. Short walk to convenience store, and popular Beach-House Cafe nearby. Plenty of space for the whole family. Great cafes to visit include Beachhouse Cafe (breakfast, lunch and dinner) and The Crib Cafe (Main Street Riverton). If you're keen for a short drive down the coast, head to Orepuki Cafe (20 mins drive west). Popular scenic spots to visit are Colac Bay, Monkey Island, Cosy Nook, and Gemstone Beach (all within 10-20 minutes drive west along the coastal road). We recommend the 30 minute bushwalk behind Riverton township at Mores Scenic Reserve which takes you to a cool treetop platform with amazing views! Relax and enjoy the coastal charm of Riverton! Great little find. Perfect for the two of us. Traditional Batch style. Very comfortable. Beach close so you can if needs be collect kindling for the fire. Perfect for summer breaks. Thank you. Great weekend getaway for a family. The Bach had everything we needed. Was warm and close to the beach. Would definitely stay again! Great to hear you enjoyed the property. Would love to have you visit again in future! We really enjoyed our stay at Pipi Point. Lovely to be so near to the beach. And we really liked the house - it was very comfortable and well appointed. 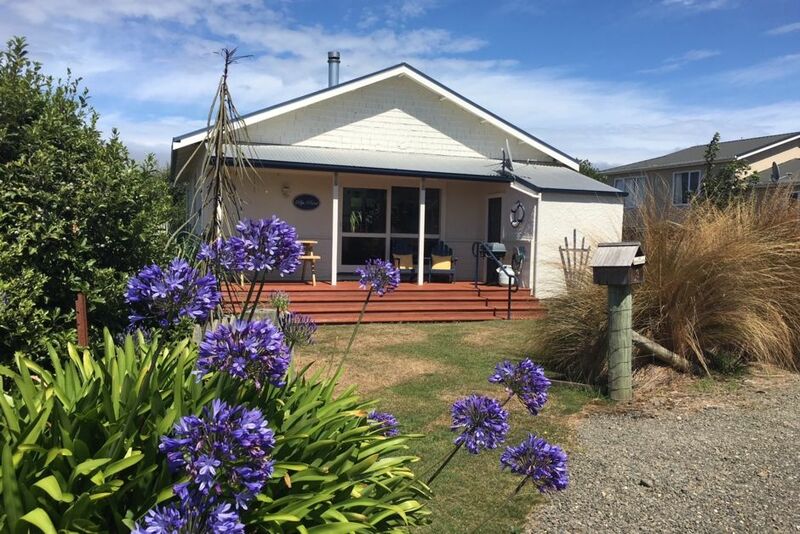 We have just spent three nights staying Pipi Point. Great location to explore Riverton and the surrounding area. It is a beautiful part of New Zealand. The cottage accommodated four adults very comfortably. Sara and Chris were very helpful and responded to my questions very promptly. Definitely would return and recommend to others.